Rated 3 out of 5 by Tilske from A litle bit boring For me too much HO. But for the HO people a lot fun. 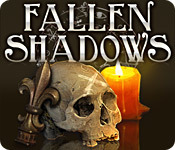 Rated 2 out of 5 by bosslady10159 from Fallen Shadows the game was slow between scenes. would be a good game if this didn't happen.. Rated 2 out of 5 by Rudygeegee from Game Kept Helping Me Boy, I don't know. This game is absolutely beautiful, but it kept helping me! STOP! Game seemed kinda slow, too. No buy. Rated 2 out of 5 by 2beginagain from not clear on objectives Just not wowed by this game. No hints even in the on-going play because the objectives aren't clear. Would never buy or recommend this game. Rated 2 out of 5 by secretworld from S L O W No challenge to the gamer at all. Game is structured in a way that you cannot discover any clues until you are allowed to. Graphics are great, but that's all. Rated 2 out of 5 by LorettaGSP from Boring Boring. Didn't need all the "grandaughter's" drivel and transitions too long even when you skipped the cut scene. I didn't even make it to the end of the demo before I hit the little red x. Rated 2 out of 5 by erikjensen from Not Worth the Trial Finished the trial in 45 minutes, and even that was generous. Very slow-moving game with virtually no challenge. Rated 1 out of 5 by Rarity_One from Garbage! Don't waste your time or money. Rated 1 out of 5 by sfr8rfan from Just Leaving Downtown Mad as HADES and coming up on West This Was A TOTAL Waste of a Coupon-ville A. The positives. Oops. The Positive: A definite creep ambience if you like that sort of thing...and I do. B. The Negative: 1. No instructions playing the puzzles thus far. 2. No Strategy Guide: yes, there is one for PC but not for Mac. 3. I wasted a coupon because I listened to the review of a TOP CONTRIBUTOR who referenced a great game that was almost missed. Only to find out that the puzzles used as examples for the whole game were found in the first 10 minutes of the game...and guess what? It goes downhill from there. I don't mind that it is HOS after HOS. I kinda knew that when I started. What I didn't know is that the very difficult HOS are not so because of really great blending and subterfuge, but instead because of sleight of hand. A DARTBOARD the size of a dime. This is not a fair representation and it's not nifty or creative drawing. It's only difficult because it's misleading. Changing "perspective," i.e. changing size to something which doesn't represent reality is not brilliant developing, it's just disingenuous. I'm going to ask for my coupon back. I'm also going to suggest that reviewers clearly state how much of a game they've played while posting a review. 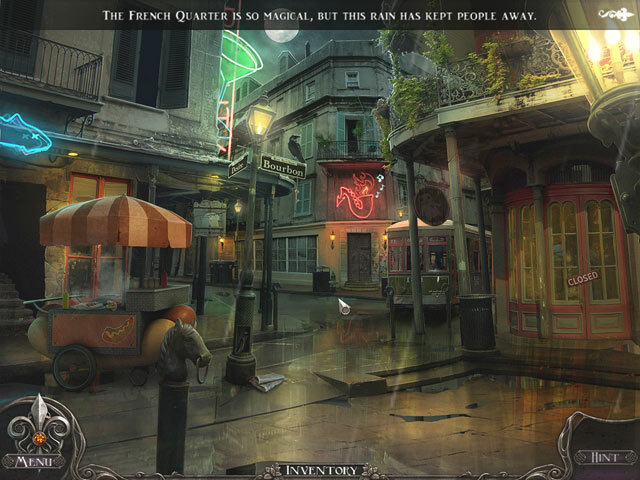 Rated 1 out of 5 by piemomnj from Not for Hidden Object Fans! Terrible game! 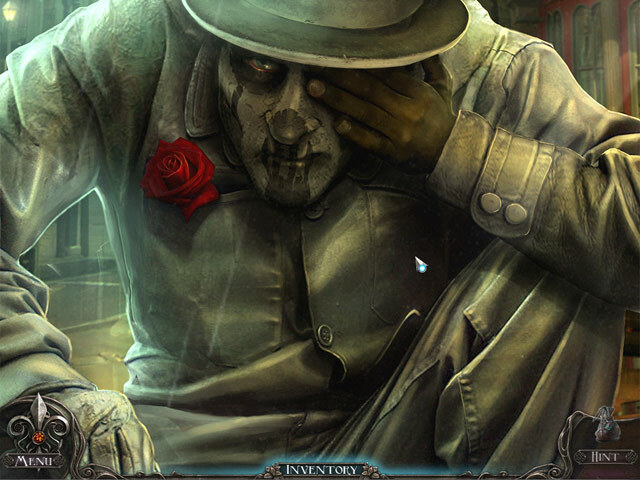 I love Hidden Object games and this one was the worst I have ever tried. Rated 1 out of 5 by coha92 from Don't bring the Part II It's one of the worst games that I've played! The objects were extremely small and the graphics too dark. The game features don't allow you to explore on your own. To be continued? Please don't bring Part II if you don't improve a 100%. Rated 1 out of 5 by Sammysar from Zero Stars if I could. Very boring game, the graphics where very flat. By the time your eyes stop watering from the dark scenes you forgotten what you are trying to do. Rated 1 out of 5 by Rebr2009 from Boring and Slow Story begins in New Orleans, 2006, after Hurricane Kathrina. Then return for a few days before ... It promised a good game, but it's boring and slow. Along the way, you find very easy mini games and HOS (even in adventure mode). The big problem is that you can not freely explore the locations. You may only have just one thing after another ... For example, you can not leave the room before you have clicked on everything! Sometimes you can not know what to do, and has only hint in the HOS. No choice: or find what they want ... or you get stuck! Rated 1 out of 5 by scfishieinkt from NOT A GOOD GAME! This game started out with a great intro, but quickly went downhill. The HO scenes were junkpiles, and not clearly drawn. Objects were not well-described and scenes were dark. 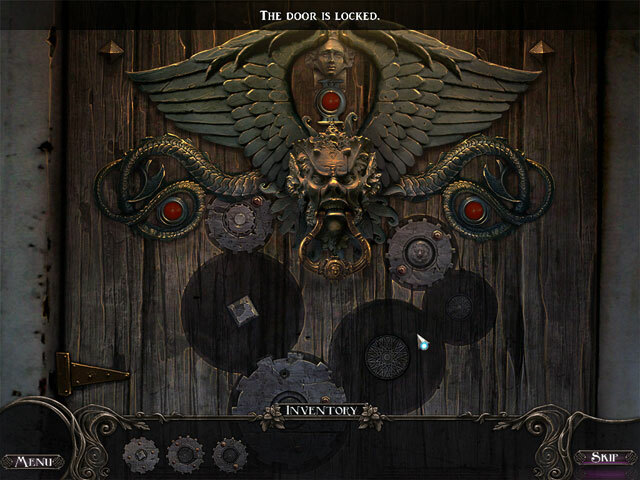 Only the top-half of characters were shown, and not all puzzles had clear instructions. The game started out with a great story-line, but was very poorly developed, it could have been a great game. Rated 1 out of 5 by renep from fallen shadows To much time spent waiting for a new scene.